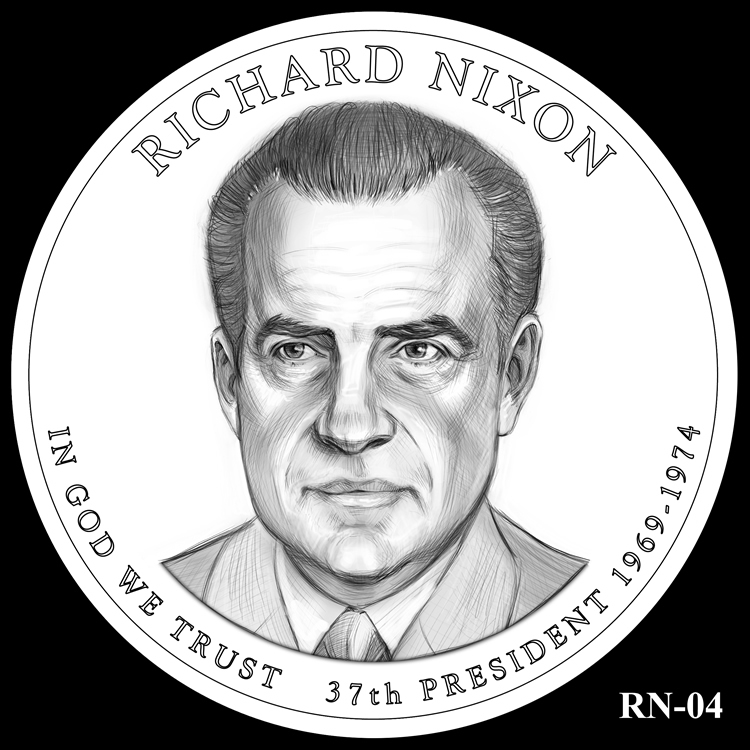 The Presidential $1 Coin Program commemorates our nation’s leaders by featuring their portraits on obverses of dollar coins. Since 2007, four Presidents per year have been honored in the same order that they served. For the last year of the program in 2016, the 37th and 38th Presidents, Richard M. Nixon and Gerald R. Ford, will be celebrated. 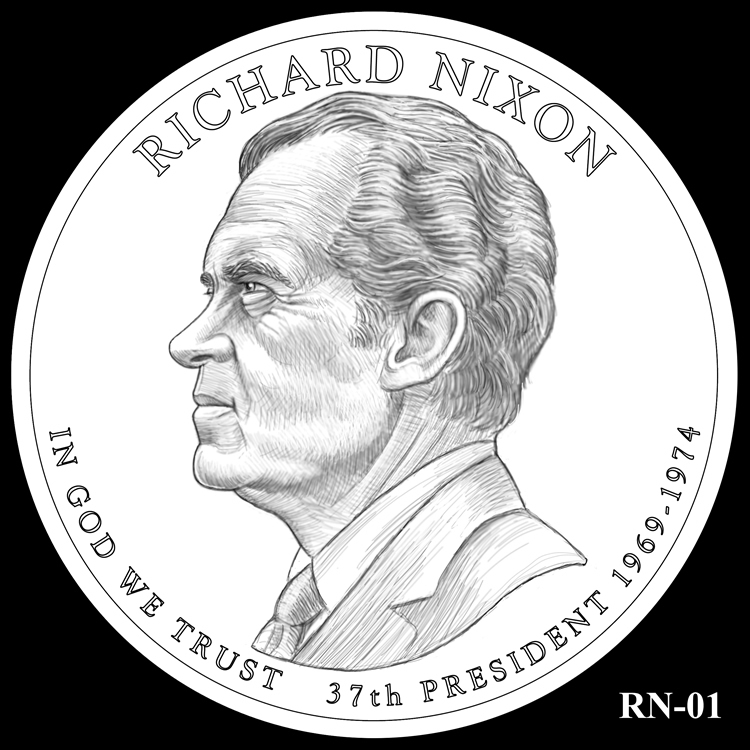 Only two Presidential $1 coins are scheduled to appear in 2016 because the program, authorized by Public Law 109-145, is limited to former Presidents who have been deceased for longer than two years. Ronald Reagan as the 40th President will be excluded from the $1 series since the 39th President, Jimmy Carter, is still alive. 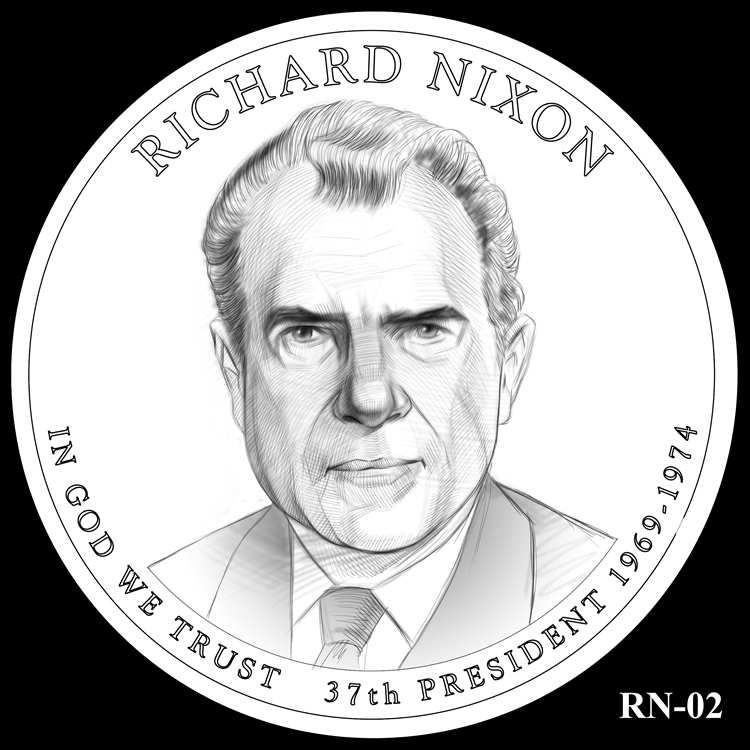 Update: The U.S. Mint later announced that it will produced 2016 Reagan Presidential $1 Coins. 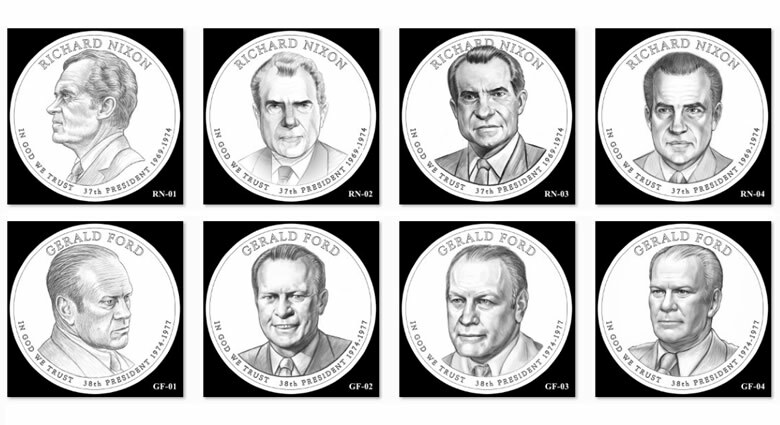 Below are the U.S. Mint candidate coin designs for the Nixon and Ford dollars. As part of the selection process, these images will be examined and reviewed by various people and committees before the final two designs are selected. The following artistic renditions issued for the 2016 Richard Nixon Presidential $1 Coin display varying poses of the 37th President of the United States. Inscriptions above the portrait are, "RICHARD NIXON," and across the bottom are, "IN GOD WE TRUST," "37TH PRESIDENT" and "1969-1974." 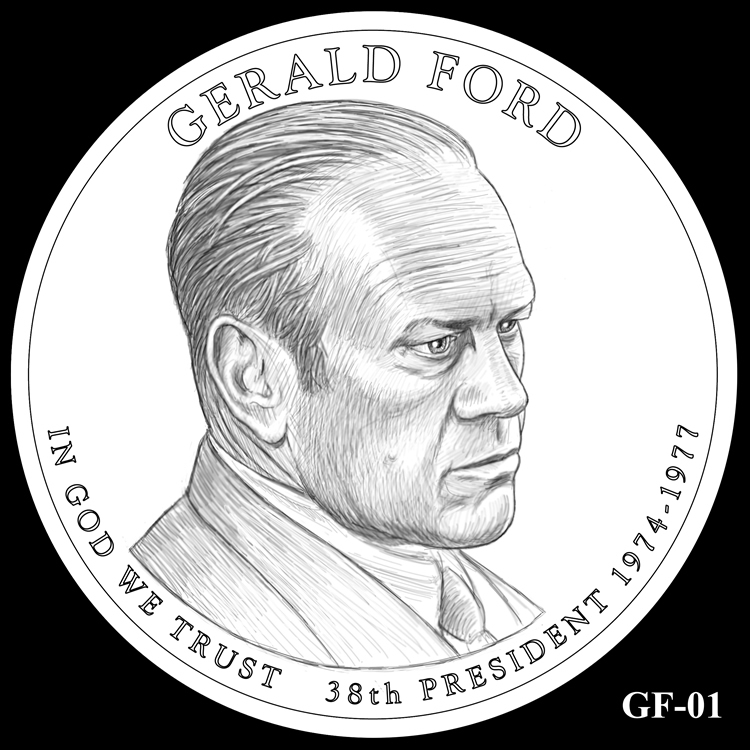 There are also four proposed designs for the 2016 Gerald Ford Presidential $1 Coin. 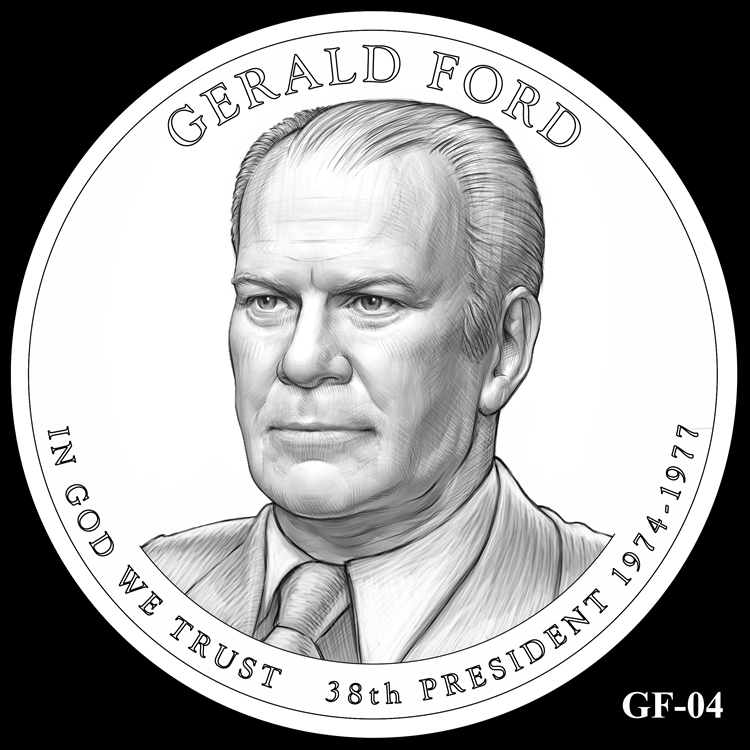 Inscriptions on each include, "GERALD FORD," "IN GOD WE TRUST," "38TH PRESIDENT" and "1974-1977." Steps in the selection process include reviews by the Citizens Coinage Advisory Committee and the United States Commission of Fine Arts. Recommendations from these meetings are written directly to Secretary of the Treasury. Many times, designs are tweaked as a result. The United States Mint will make eventual recommendations to the Treasury Secretary who then selects the winning designs. Reverses are common for all Presidential $1 Coins and was introduced during the coins’ debut in 2007. It features a dramatic rendition of the Statue of Liberty by United States Mint Sculptor-Engraver Don Everhart. Inscriptions include, "UNITED STATES OF AMERICA" and "$1." Along the coins’ edge are incused inscriptions of, "2016," to indicate the year of minting and, "E PLURIBUS UNUM," as well as the mint mark. 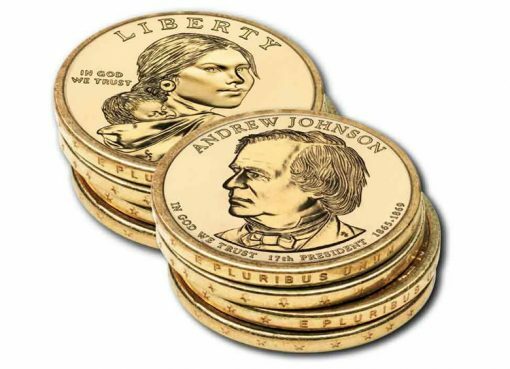 Presidential $1 coins share the same size, weight and metal composition as the Native American $1 Coins. The Presidential $1 Coin Act of 2005 authorizes the U.S. Mint to produce Presidential $1 Coins. 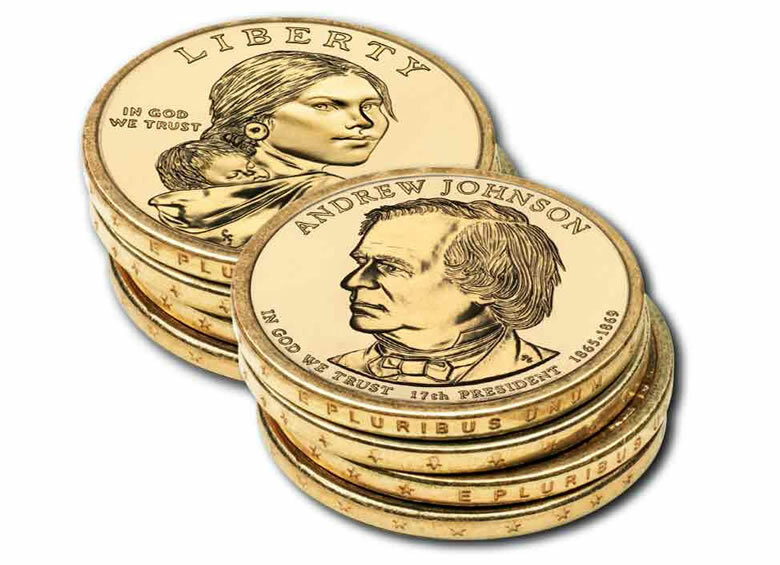 Its intent was to promote use of $1 coins as well as to provide an educational tool for Americans and visitors to remember the Presidents. Interest in dollar coins, however, did not increase and as a result, and production of $1 coins for circulation was halted. 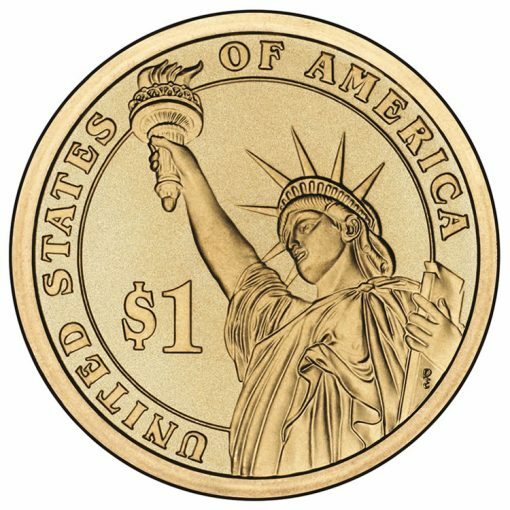 While the coins are still U.S. legal tender, since 2012, dollar coins are only produced and issued by the U.S. Mint for numismatic purposes. Nixon, In God We Trust. Now there’s a joke. But #1 looks most like him, nose and all. As for Ford, I like #4. 2 makes him look like an idiot. Who came up with that design? Maybe when this is all said and done the Mint will get off the treadmill of depicting political figures. There must be a modern-day equivalent of Morgan, St. Gaudens, or Weinman whose art could grace our coinage. You’ve seen the platinum eagles, the native American $, the commemorative coins – does it look like such an artist exists? Or maybe the CCAC is rejecting the really good art and instead going for the “modern” look or what they think will appeal to the common collector. The mint should poll their customer email list. They’ve got a ton of customers that are being left out in the cold when these decisions are being made. But maybe you and I are in the minority and wouldn’t get decent art even if we had the chance to see and vote or even submit designs. 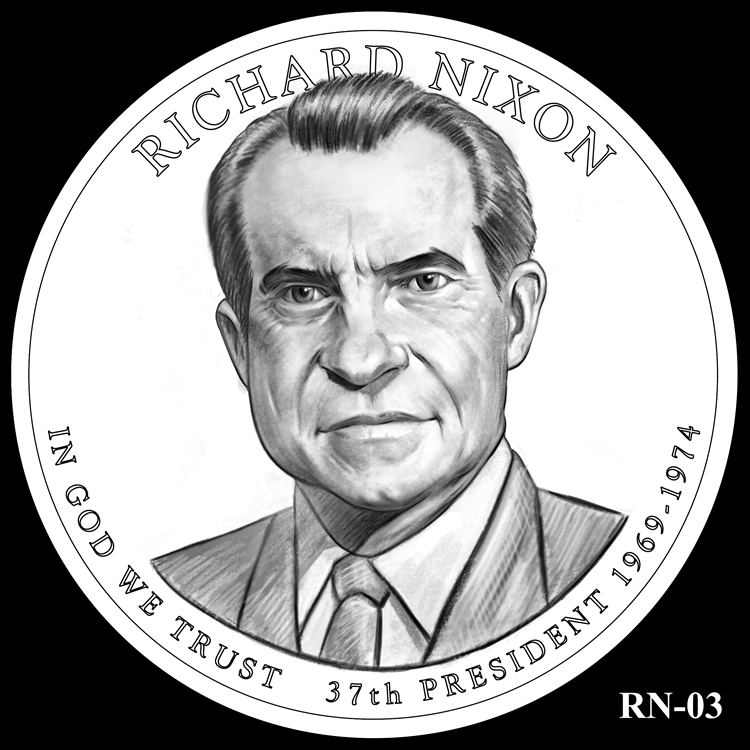 How about some more appropriate slogans on the coins? 1. I am not a crook. 3. I closed the gold window. 1. I stumbled into this job. 3. I make my own toast. 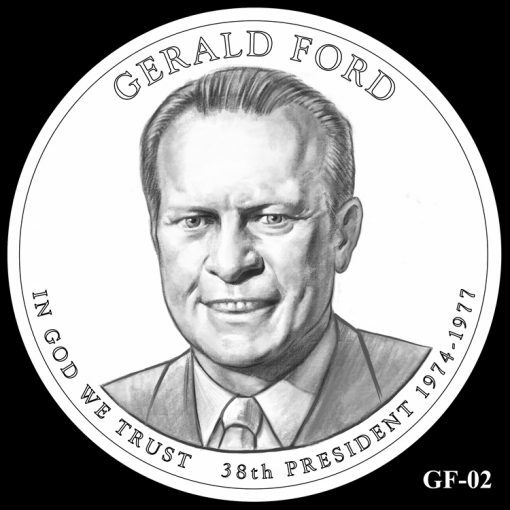 Nixon #1 and Ford #1. All the others are caricatures made to mock both of them. I wonder who made the decision to exclude Reagan, since this is the first I have heard that Carter’s longevity will push Reagan off the list. On the other hand, if Carter is not around in 2016, they will have to scramble to put together 2 new designs, not just 1. Ronald Reagan’s portrait should be included, regardless if Jimmy Carter is still alive. I’m sure the dies are already made up and chosen. Reagan’s portrait is well known and Carter probably had his choice, before hand. RR not included probably because we normally don’t leave out the number 39 when we count from 1 to 100. Those designs are awful. 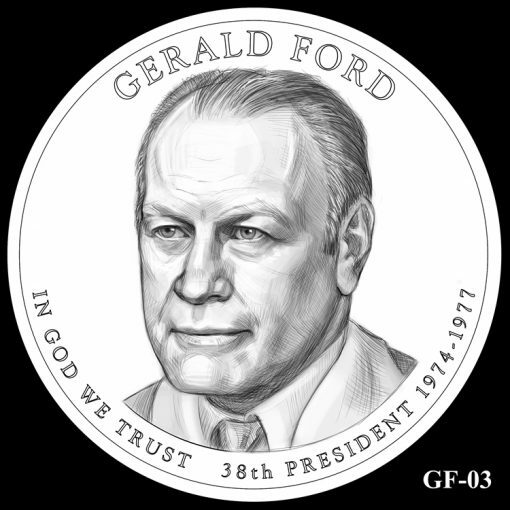 There was only one decent one of Gerald Ford.